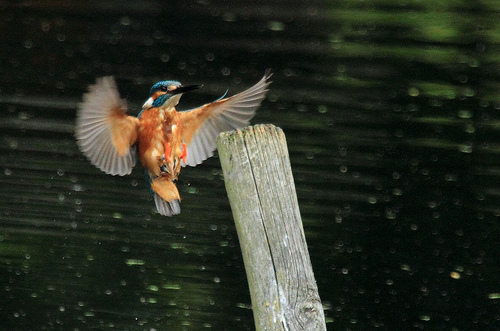 When suddenly a little blue bird flashes by, it certainly is a Kingfisher. 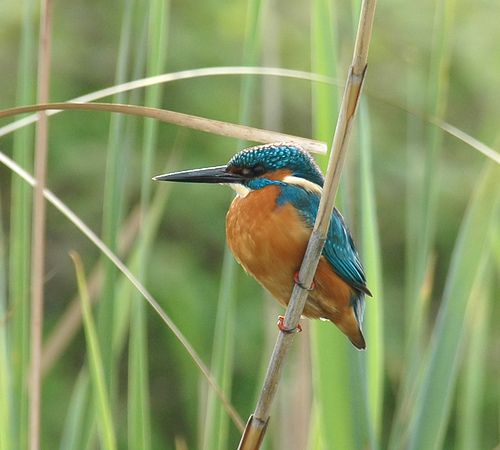 Unfortunately, a rarity in western Europe, but a beautiful bird. With its large dagger-shaped beak, it waits on a branch above the water for small fish to swim by.